February 1, 2019 Speaker at the Dorothy Day Catholic Worker | Dorothy Day Catholic Worker Washington, D.C. Date: Friday, February 1, 2019 @ 7:30 p.m.
Nazgol Ghandnoosh, Ph.D., is a senior research analyst with The Sentencing Project. She conducts and synthesizes research on criminal justice policies and has written about racial disparities in the justice system, public opinion about punishment, and the scope of reform efforts. Her report, Delaying a Second Chance: The Declining Prospects for Parole on Life Sentences, examines how states and the federal government have increased prison terms for people with parole-eligible life sentences. She regularly presents to academic, practitioner, and general audiences and her work has been featured in outlets including the Washington Post, the New York Times, and WNYC’s On the Media. She also edits The Sentencing Project’s Race and Justice Newsletter. Dr. Ghandnoosh earned an undergraduate degree from the University of Pennsylvania and a doctorate in sociology from the University of California, Los Angeles. Her dissertation, Challenging Mass Incarceration: A California Group’s Advocacy for the Parole Release Life Term-to-Life Prisoners,” was an in depth study of a South Los Angeles-based group challenging severe sentences. 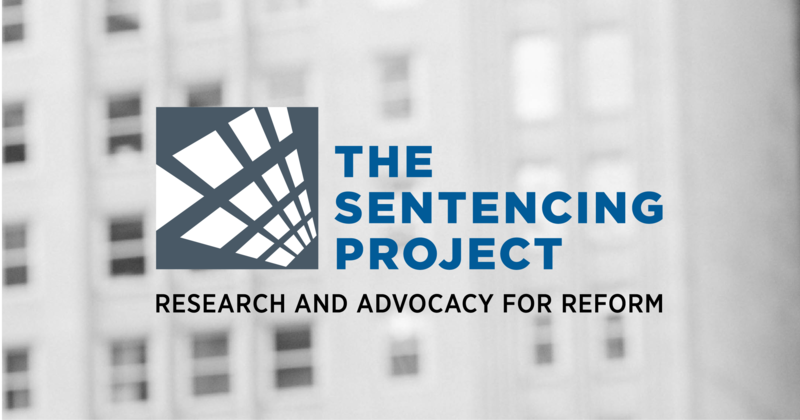 The Sentencing Project is a leader in changing the way Americans think about crime and punishment.